What are 1099s? As a landlord, do you need to issue any? Are you confused about current tax rules for landlords? As we head into another tax season, these are all important questions to address. 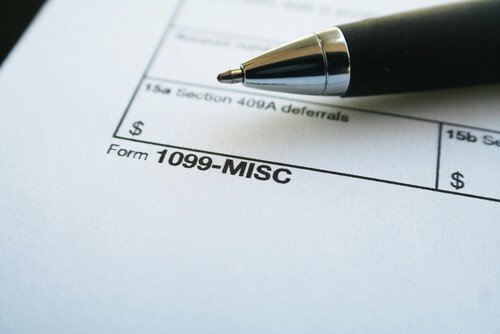 1099s are information documents, similar to W-2s, and are used to report payments of $600 or more to the IRS. Landlords must send 1099s to all vendors who were paid $600 or more in the prior calendar year. For example, if you employed a gardener for your rental property and paid them $600 or more in 2016, you must issue them a 1099. In fact, you can't take a deduction for expenses unless you issue any required 1099s first. If you've been lax about issuing 1099s in the past, keep in mind that the IRS is cracking down on deadlines. Failure to issue these documents leads to steep penalties, so don't forget to compile your 1099s and submit them to the recipients and the IRS by January 31. Late 1099s filed within 30 days of the due date will face a penalty of $50 per form. Beyond 30 days, the penalty increases on a sliding scale - the penalties can increase up to $250 if you file after the IRS tells you to do so, but if they catch you not filing, you can be penalized up to $520 per document for willful disregard. To make it easier to comply with deadlines and avoid penalties, be sure to ask all vendors and contractors for a W-9 before you issue any payments. Form W-9 is an information form that contains the full name, mailing address, and Social Security number or Tax ID number of the vendor or contractor. You'll need this information to prepare any 1099s, so having the information in advance will make it much easier to meet the January 31 deadline. If a vendor fails to provide a W-9, you're required to withhold 28% of any payment due to them for federal tax purposes. Do not be tempted to just skip the 1099s. Schedule E of your tax return asks "Were you required to file any 1099s?" The follow up question is "If you were required to file, did you, or will you, file them?" If you answer yes and yes, the IRS will look for the 1099s. If you answer yes and no, you are admitting to blatant disregard and asking for the $520 penalty. If you answer no and no, but have deductions that look like candidates for 1099s, you could trigger an audit. Or, if you, or the recipient, are audited, they can catch these transactions and again determine willful disregard with the hefty price tag that comes with it. Even if you choose not to deduct the expense, the IRS can still catch the requirement in an audit and charge penalties.